The beauty of buying second hand keyboards is the variety available. 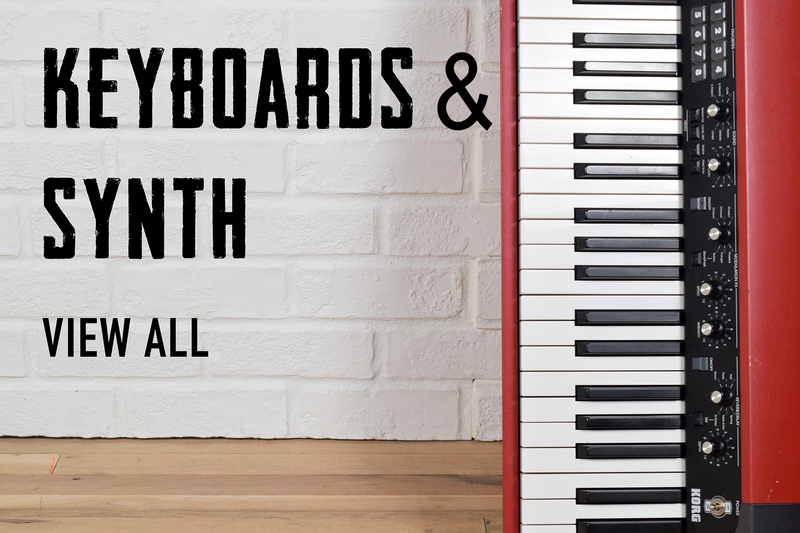 Right now, we have keytars, keyboard synthesizers, electric pianos, organ keyboards with drawbars, and much more. From Yamaha to Roland and Korg, you can count on Nashville Gear Factory to share our favorite collector pieces with you. Not Sure Which Keyboard To Get? The choice can be tough if you’re not exactly sure which keyboard or synthesizer is right for you. If you’re anything like us, you may find yourself oogling over the same instrument for hours in absolute awe of the construction and masterpiece that it is. We'd love to talk you through your purchase if you'd like advice or just to bounce ideas off of us for the type of sounds and features you're looking for. Before you know it, you’ll figure out just which used keyboard you want to add to your own collection. Do you have an incredible keyboard that you’re ready to part with but want to send to good hands? You can count on us. We buy vintage and new keyboards to sell to our fellow community of gear heads. Contact us online if you’re ready to sell your keyboard today. Otherwise, enjoy browsing through the collection of music keyboards for sale as well as our many other different types of instruments at Nashville Gear Factory.